Was walking around craving for Japanese food and decided to try Ramen Play. 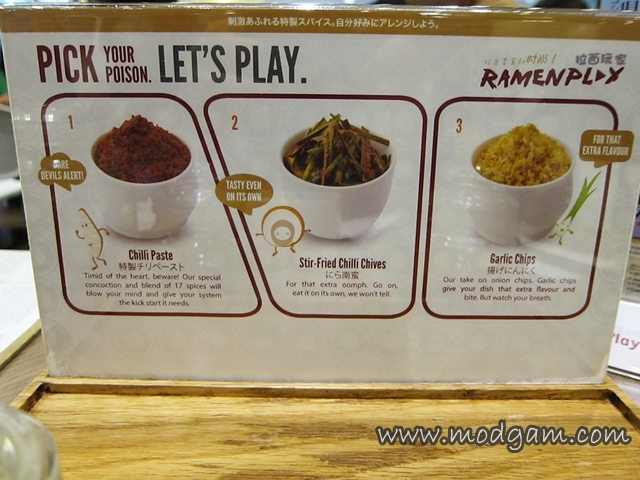 Ramen Play sounds like fun and after reading up more about them, I discover that everyday is considered a “playday” as the restaurant constantly pushes the creative envelope to create new flavours and concepts to enhance customers’ dining experience of enjoying traditional ramen. Dare to add your poison? I love the sense of humour here. 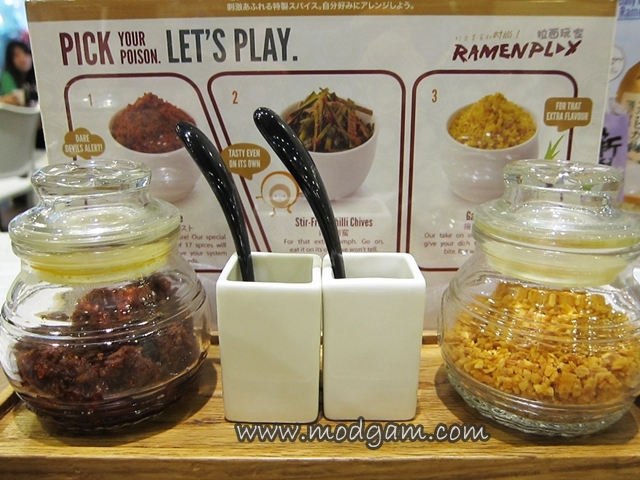 3 condiments to choose for your ramen. 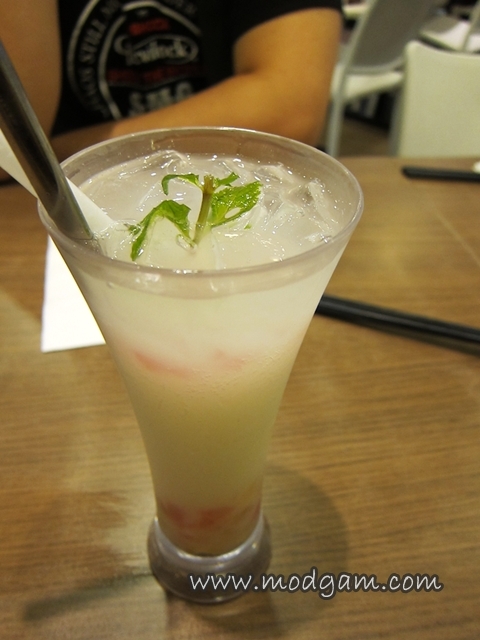 Calpis with Mixed Fruit Jelly S$4.80 – Interesting Japanese cultured milk with mixed fruit jelly is pristinely fresh and not too sweet. 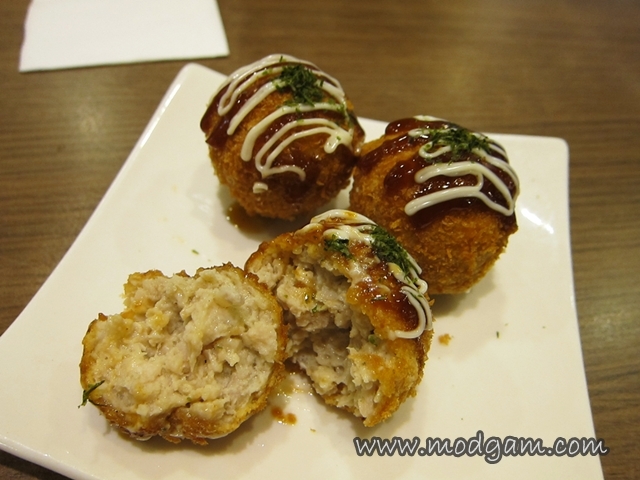 Crispy Dango S$3.80 – Crispy indeed and very tasty! Was tempted to order another plate! 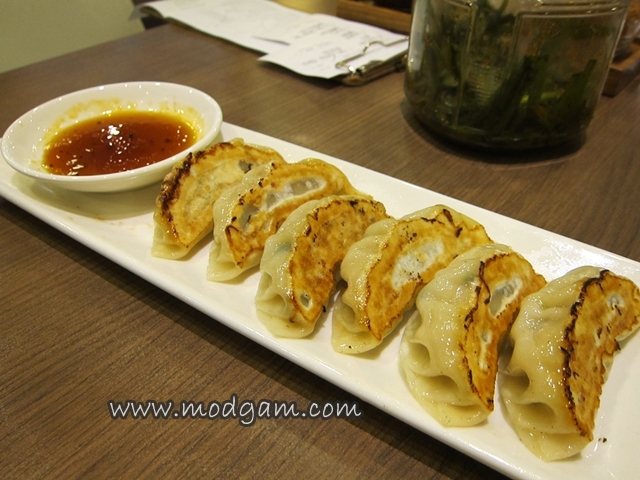 Yaki Gyoza S$6.80 – I like the soft texture with the tasty meat and cabbage filling. 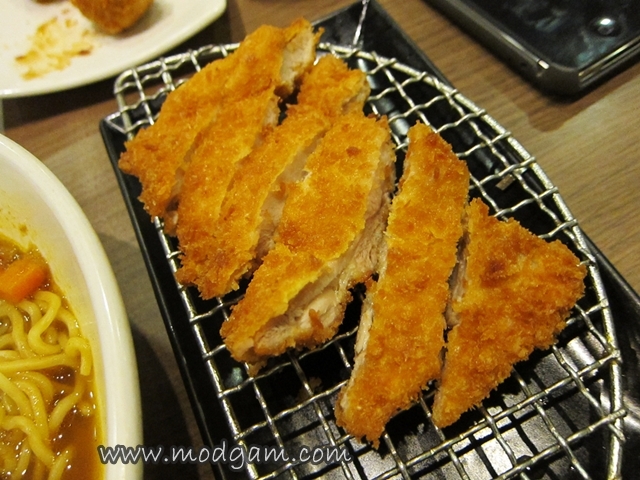 Tebasaki Ramen S$11.80 – braised chicken wings with yummy thick flavored soup. 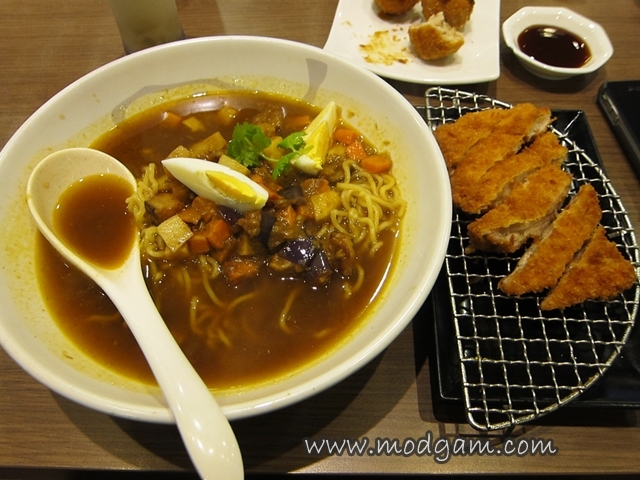 Chicken Katsu Curry Ramen S$13.80 – I was expecting the Japanese thick curry and not in this watery soupy form. 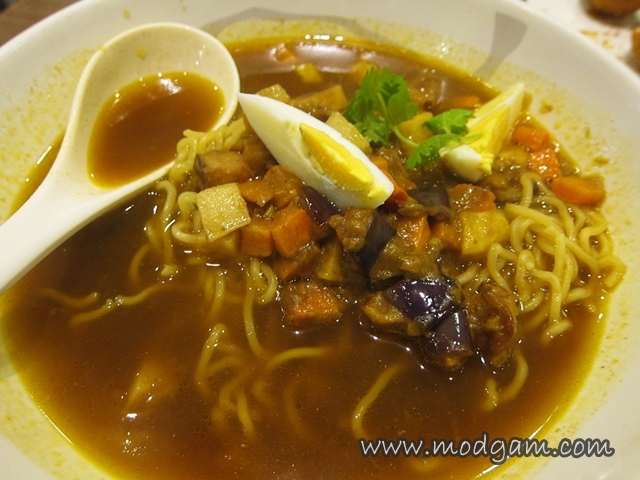 Am rather disappointed it tasted like Myojo curry instant noodle. I hope you’ll enjoy reading as much as I’ve enjoy writing them. 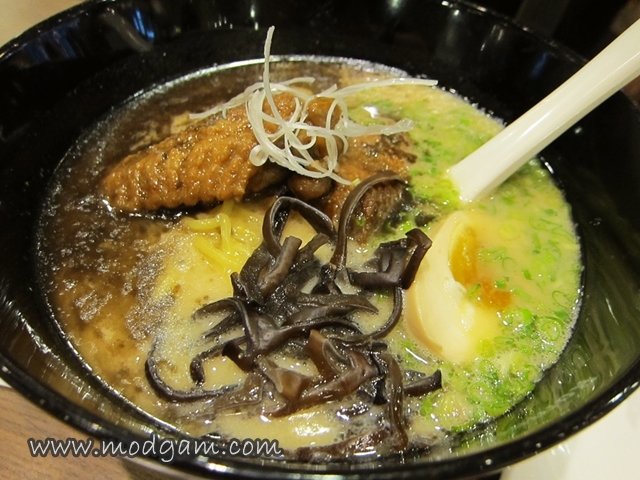 Once I saw a film that spoken about Ramen and that’s when I felt in love with it ! Your food posts make me hungry. Everything looks so yummy and the prices are so affordable. Great post. Take care. hi Sheyla, thanks for dropping by. Hahahaa you know where to drool on food posts whenever u are hungry now. =P take care. 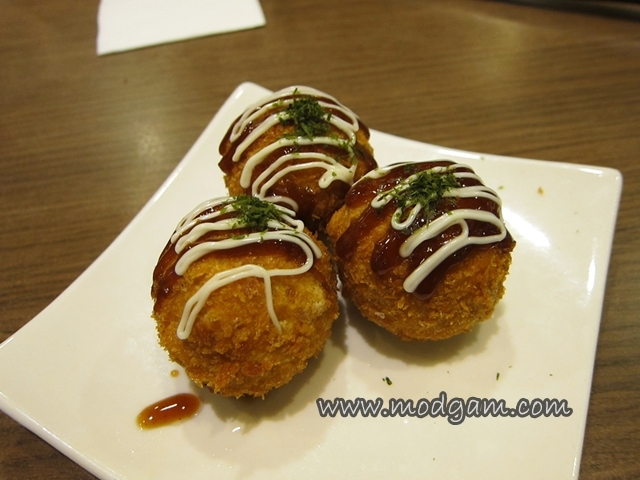 Oh wow I need some Japanese food now!